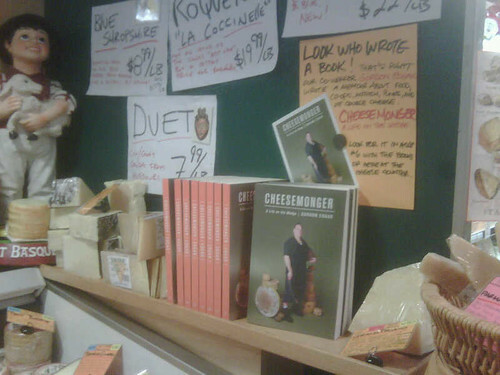 By “popular demand”* I will be signing books — and likely sampling cheese — at Rainbow from 11-2 this Saturday. I’ll be there ’til close of course, but I won’t be doing other work during the 11-2 time slot. Cheesemonger makes a great holiday gift. Decidedly off-topic but you and your regular readers may be as interested as I was in the 12/22 post about making cheese in the Jura on davidlebovitz.com.